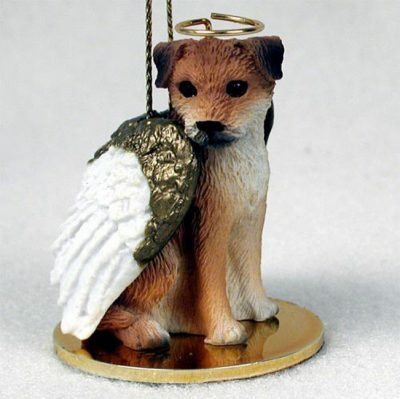 Our Border Terrier statue angel figurines make a perfect dog gift as a holiday or Christmas dog ornament. Hang it from your car mirror as a guardian angel. 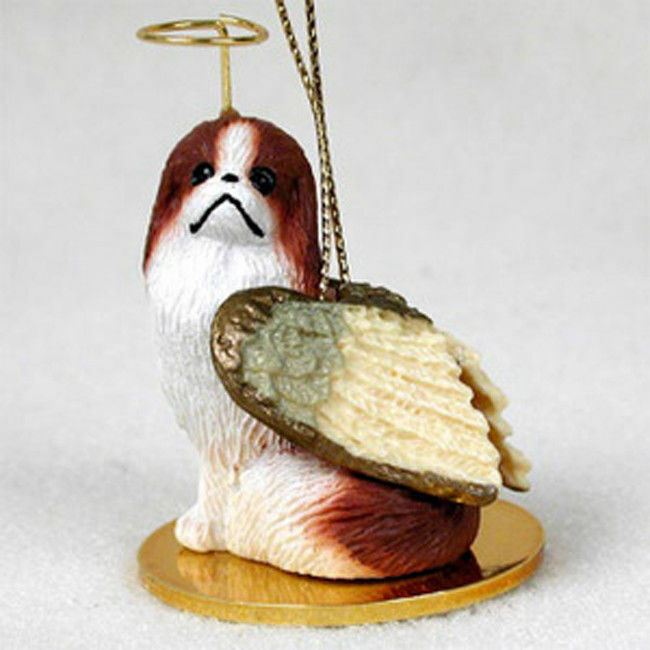 Remove the string and use it as a figurine. 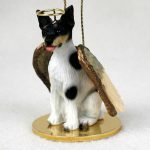 This Border Terrier statue guardian angel can be used to protect you from day to day. It can also be used as remembrance of your dog. 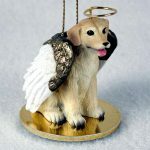 Whether your dog is cute and innocent or rambunctious, this makes a perfect dog gift for any dog lover. It has become a favorite dog gift among dog lovers. 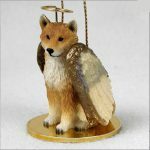 We utilize the standard Border Terrier color in this statue. White, orange, brown, and black colors are used. The chest, stomach, and jaw is white. 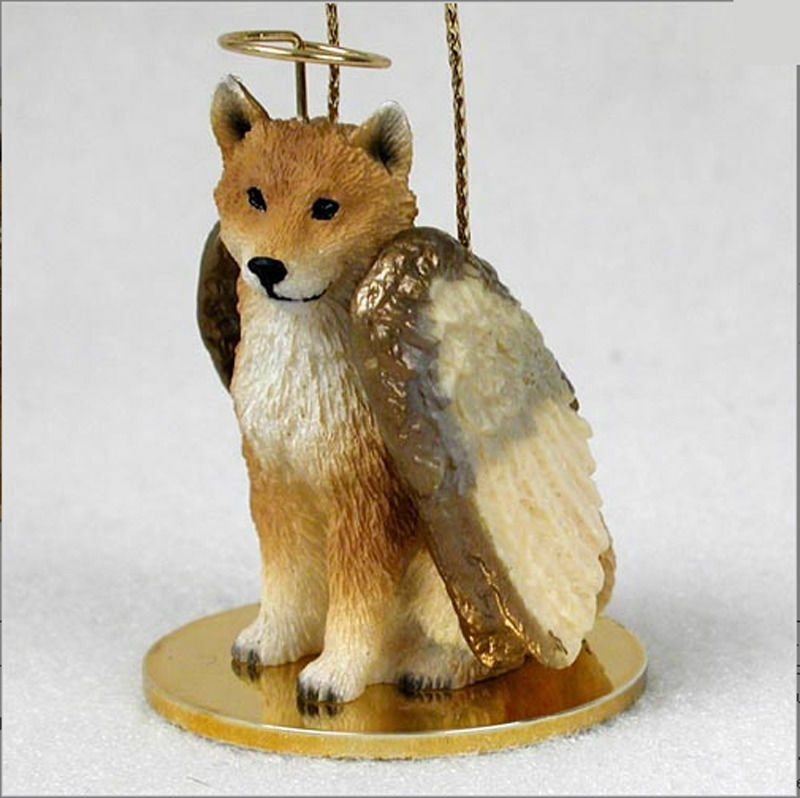 The face and legs are a light to dark brown. The eyes and nose are black.